Diet Gel is a unique concentrated gel containing a range of specifically chosen ingredients, including glucomannan, carnitine, and green tea extract. 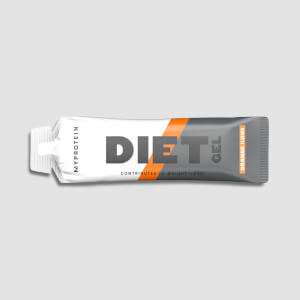 Whether you’re looking to lose weight1 or get shaped and toned, Diet Gel is an ideal training support. It’s packed full of diet ingredients specifically tailored to support your weight loss ambitions.1 Plus, the natural caffeine found in green tea helps you stay on top of your game2 and pushing your limits3 like never before. 1. Glucomannan in the context of an energy restricted diet contributes to weight loss. The beneficial effect is obtained with a daily intake of 3 g of glucomannan in three doses of 1 g each, together with 1-2 glasses of water, before meals and in the context of an energy-restricted diet. 2. Caffeine increases and alertness and concentration. 3. Caffeine contributes to increased endurance performance. When to take Diet Gel? Add a sachet to 250ml of water — use 3 times daily, 15 minutes before meals for best results. What does Diet Gel work well with? Diet Gel is great for when you’re starting a weight-loss journey, however, to make sure you’re getting enough protein, add Impact Diet Whey — high in protein, and with key diet ingredients. Warning: Danger of choking for people who suffer from swallowing difficulties. Please ingest with plenty of fluid. Store in a cool dry place away from direct sunlight. Do not exceed the stated recommended daily dose. This product is a food supplement and therefore should not be used as a substitute for a varied diet and a healthy lifestyle. Store in a cool dry place, out of the reach of young children. Lemon & Lime Flavour: Water, Acid (Citric Acid), Glucomannan Fibre, Natural Flavourings, N-Acetyl-L-Carnitine, Green Tea Extract, Sweetener (Sucralose), Preservative (Potassium Sorbate). Orange Flavour: Water, Acid (Citric Acid), Glucomannan Fibre, Natural Flavourings, N-Acetyl-L-Carnitine, Green Tea Extract, Colour (Beta Carotene), Sweetener (Sucralose), Preservative (Potassium Sorbate). The nutritional information is based on the Lemon & Lime Flavour version, when choosing an alternative flavour the nutritional values may vary. I originally bought the orange gel which is nice but I love lemon and lime better. I use it with the diet whey protein instead of fizzy juice / diet stuff. Use it twice a day great taste and I find myself less hungry and full of energy. 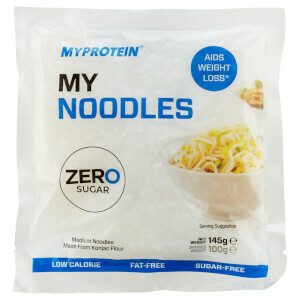 Really like the product quick and easy to use :) taste great. 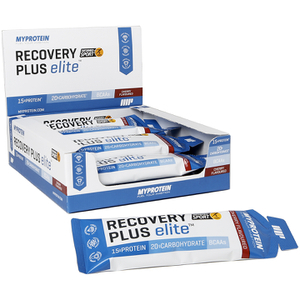 Really impressed with this product, certainly helps create a feeling of fullness. I'm not sure how effective this is as I'm also combining it with a good diet, strong training programme, CLA, and Thermopure. The product tastes really good and mixes well with water. The only slight confusion is on the MyProtein site, it says take 30-60 mins before a meal but in "Suggested use" it says take 15 minutes before. I'm not sure if it matters, or which of these is correct but I've opted to drink one glass 15 minutes before each meal. Hard to say if these are working yet as only been taking for two days but I like the taste and that at least is helping me to drink more water which is a good thing. I'm trying to loose a couple of stone before September so will let you know how I get on! Wish me luck. I have always been quite skeptical about products such as these. I was wrong to be, these gels really worked to keep my hunger at bay throughout the day. They mix well, taste good and give me a little energy top up so i can hold out that bit longer before food. I normally use one late morning before lunch and one in the afternoon before dinner. 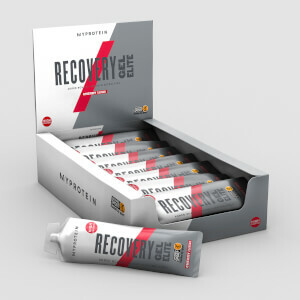 Difficult to say whether this product alone has helped, since I have been using it in conjunction with the diet whey protein and thermopure, but the three of them combined definitely help to focus on your diet as a whole and I'm definitely looking leaner, which was the desired result. Easy to mix and easy to use. It's a great product but slightly expensive. Tried these on a bit of a whim, not really believing the hype but actually have found them to be tasty and they appear to be doing what they should which is make you feel fuller before you sit to eat. I was not looking for dramatic weight loss but have noticed less bloating which I am assuming is because I am actually eating less because I feel fuller :-) . Give them a try it may just be enough to kick start a healthy eating plan.